Advent and Epiphany are the often-neglected parentheses around Christmas. Sybil MacBeth wants to change that. The Season of the Nativity – Advent, Christmas, and Epiphany – deserves more attention and better publicity. As the opening three acts for the liturgical year, it sets the stage for our yearlong journey through Scripture and salvation history. This book combines memoir, front-porch theology, and pages of spiritual practices and activities to invite individuals and families into a deeper relationship with a time of year you may have never discovered before. 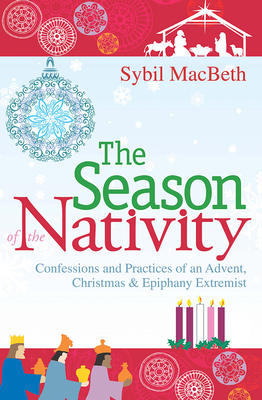 It gives simple tools and exercises for word-weary, distracted, and busy people – perhaps to experience a serious and playful nativity season for the first time.